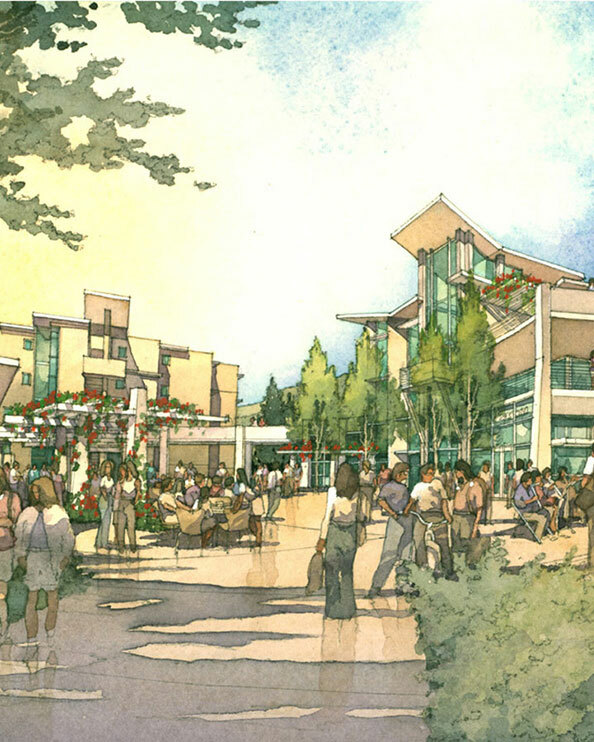 Winner of a Cal Poly San Luis Obispo design build competition, this 193,000 sf, 760-bed facility is designed in an efficient suite configuration. The project includes: an Administration Center, Game Room, Multi-use meeting rooms and kitchen. 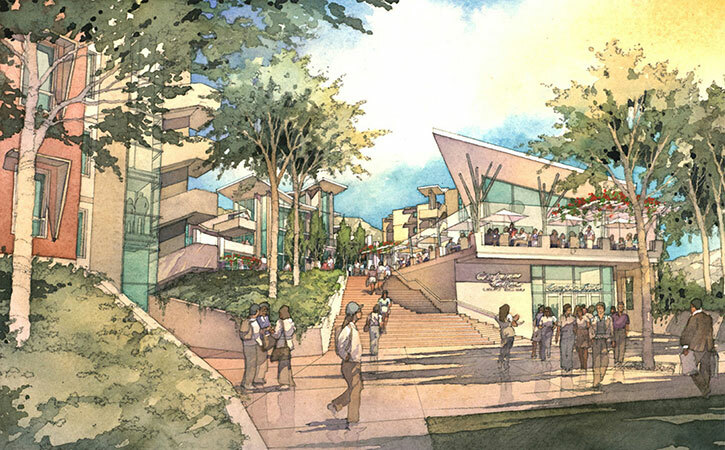 A campus conference center and retail student store anchor the central student plaza. 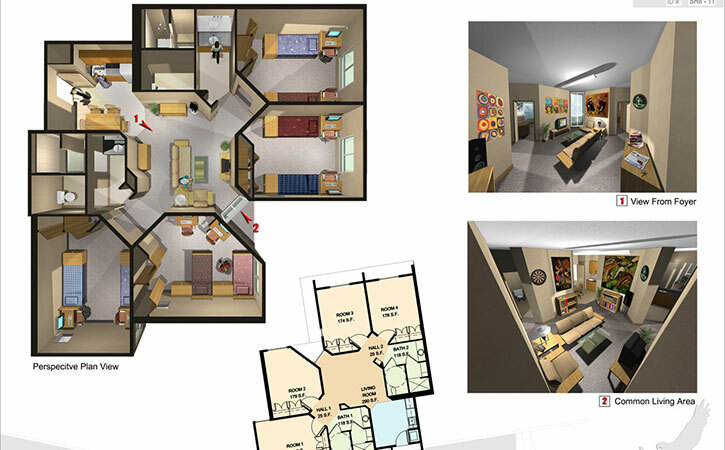 To maximize the value for the University, the housing program was improved upon by eliminating long narrow dark corridors and increasing the unit efficiencies. The project goals were to: Create a generous student circulation spine that is naturally lit and well ventilated, increase unit efficiencies, increase non-revenue program spaces, utilize long lasting construction materials for a better long-term investment for the university, and increase security and safety through clear circulation that is well lit and naturally viewable. Our team won the competition with 10% more beds, more common area amenities coupled with the lowest guaranteed maximum price. The project was designed to be LEED™ Gold Certified.